The MBTA invites you to attend a public meeting to share your comments about the future of late-night service. 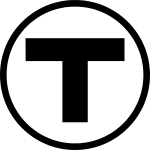 The MBTA Late-Night Pilot Program was started in March 2014. Since then, the MBTA has run service 90 minutes longer on all subway and key bus routes on Friday and Saturday nights. The purpose of these public meetings is to discuss current usage, the budget, and closure dates, and to introduce a conversation about how, together with public input, we might design a future late-night service. Comments about MBTA late-night service will be accepted through Friday, February 12, 2016. Phone: (617) 222-3200, TTY (617) 222-5146. • All locations are accessible to people with disabilities. MassDOT provides reasonable accommodations and/or language assistance free of charge upon request. • For accommodation or language assistance, please call (617) 222-3200. • Requests should be made as soon as possible prior to the meeting. translation or interpretation, requests should be made at least ten (10) business days before the meeting.